After I posted Reification is a red herring (and you don't need property graphs to assign data to individual relationships) last month, I had an amusingly difficult time explaining to my wife how that would generate so much Twitter activity. This month I wanted to make it clear that I'm not opposed to reification in and of itself, and I wanted to describe the fun I've been having playing with Olaf Hartig and Bryan Thompson's RDF* and and SPARQL* extensions to these standards to make reification more elegant. In that post, I said that in many years of using RDF I've never needed to use reification because, for most use cases where it was a candidate solution, I was better off using RDFS to declare classes and properties that reflected the use case domain instead of going right to the standard reification syntax (awkward in any standardized serialization) that let me create triples about triples. My soapbox ranting in that post focused on the common argument that the property graph approach of systems like Tinkerpop and Neo4j is better than RDF because achieving similar goals in RDF would require reification; as I showed, it doesn't. But, reification can still be very useful, especially in the world of metadata. (I am slightly jealous of the metadata librarians of the world for having the word "metadata" in their job title--it sounds even cooler in Canada: Bibliothécaire aux métadonnées.) If metadata is data about data, and more and more of the Information Science world is taking advantage of linked data technologies, then triples about triples are bound to be useful in their use of information for provenance, curation, and all kinds of scholarship about datasets. 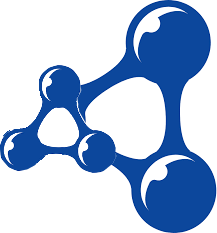 As I described in Trying out Blazegraph two years ago, it's pretty simple to download the Blazegraph jar, start it up, load RDF data, and query it. For my RDF* experiments, I started up Blazegraph and created a Blazegraph namespace with a mode of rdr and then did my first few experiments there. This data tells us that the triple about Kubrik being influenced by Welles has a significance of 0.8 and a source at an article on nofilmschool.com. <<?x d:influencedBy d:Welles>> d:significance ?sig . In this case, the use of the double angle brackets is the SPARQL* extension that lets us do the same thing that this syntax does in RDF*. This query asks for whoever was named as being influenced by Welles in statements that have a significance greater than 0.7. The query worked just fine in Blazegraph. Moving on to more easy experiments, I found that all the examples on the Blazegraph page Reification Done Right worked exactly as shown there. That page also provides some nice background for ways to use RDF* and SPARQL* in Blazegraph. <<d:s1 d:p1 d:o1>> a d:Class2 . <<d:s2 d:p2 d:o2>> a d:Class3 . <<?x ?y ?z>> a d:Class1 . After doing this inferencing, I was thinking that OWL metadata and inferencing about such triples should open up a lot of new possibilities, but I realized that none of those possibilities are necessarily new: they'll just be easier to implement than they would have been using the old method of reification that used four triples to represent one. Still, being easier to implement counts for plenty, and I think that metadata librarians and other people doing work to build value around existing triples now have a reasonable syntax some nice tools to explore this.